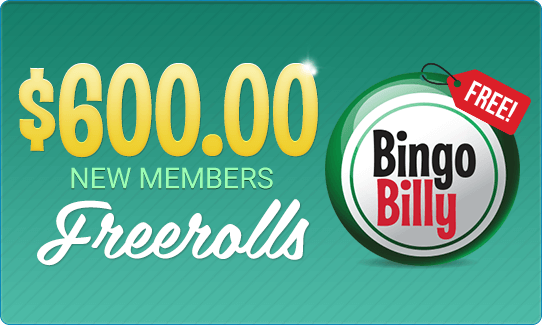 BingoBilly is the MOST AWARDED BINGO SITE In The WORLD! in 2007, 2008, 2009, 2011 & 2012! We would have kept winning if WhichBingo didn’t stop hosting these awards, but winning 5 times say it all! 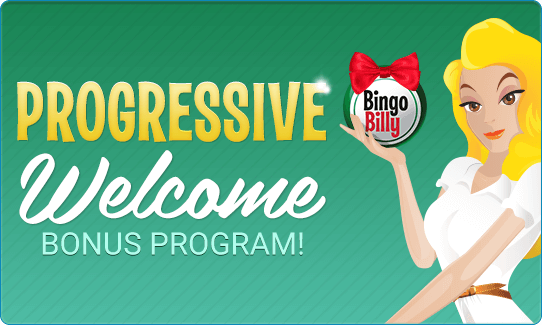 Bingo sites out there can offer you big deposit bonuses of 500%+ to entice you to make your 1st deposit but they cannot match our WELCOME PACKAGE – that includes 4 TOP–NOTCH GIFTS for new members LIKE YOU! Try our Bingo Games and Service! Use it to play Parlay Slots between 12am ET on Monday and 11:59pm ET on Thursday! The Bonus is automatically credited once you create your account! Freeroll Room opens at 6pm ET every Saturday and games play from 7pm to 8pm ET! Play free games – WIN Real! Private Rooms play daily from 8pm to 12am ET. Less people playing means more chances for you to win! $500.00 to $1,000.00 GUARANTEED GAMES! If you have questions or comments about these bingo promotions, please contact us.